In the wake of the Tesla layoffs earlier this month, employers around the US, including some of the company’s direct competitors like Nikola Motor Company and Volvo USA, appear to be looking to capture some of the automaker’s just-released talent. 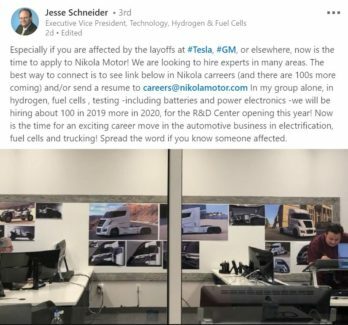 Many have taken to social media to announce their respective companies’ openings for positions relevant to former Tesla employees’ skill sets. Overall, the outreach efforts have been positive, encouraging, and focused on helping those affected continue to see the value in their training and efforts to date. 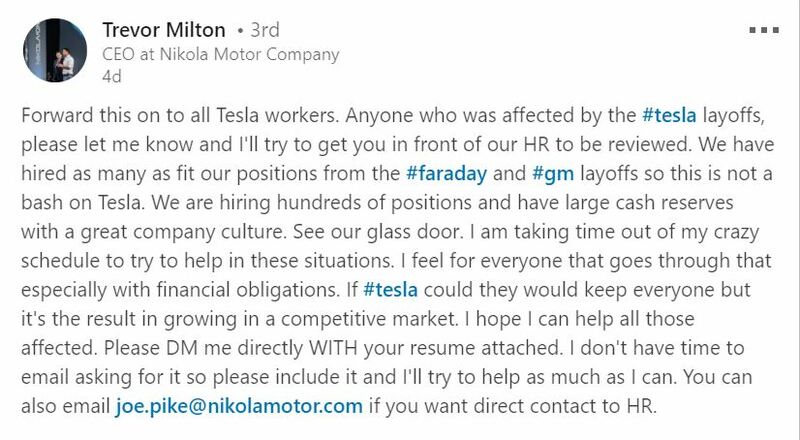 In a post published on his official LinkedIn account, Trevor Milton, CEO at Nikola Motor Company, offered to help usher Tesla workers’ resumes into his company’s human resources office. 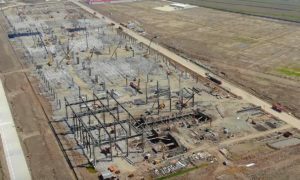 Citing similar layoffs from other competitors such as Faraday Future and General Motors, he spoke positively of Tesla’s business process and intentions, and further touted Nikola’s company culture as a good fit for former Tesla workers. 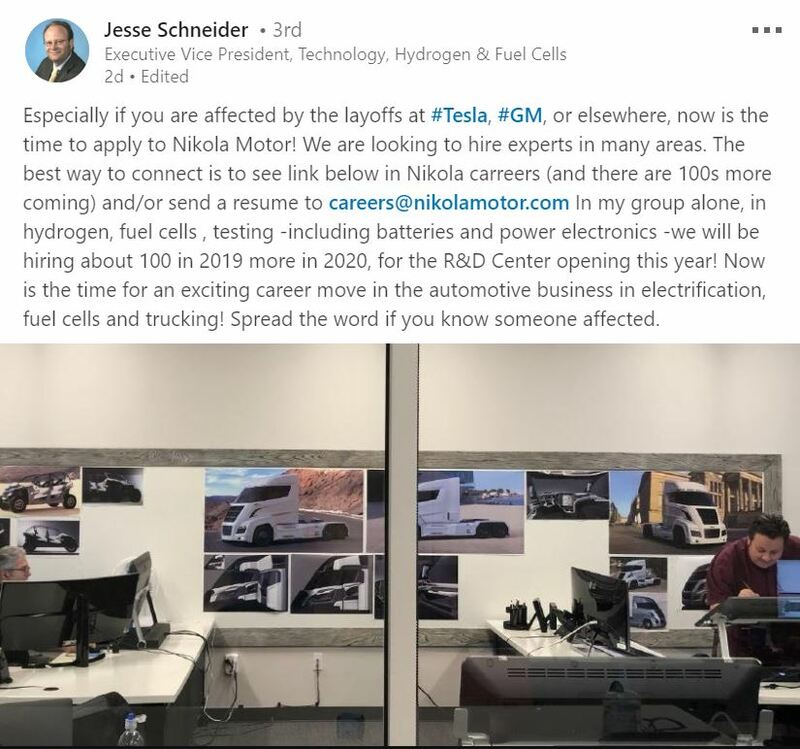 That sentiment was followed up by Jesse Schneider, Executive VP of Technology, Hydrogen & Fuel Cells at Nikola, in a post of his own directing potential applicants to the company’s job board. Also promoting their company’s open positions for Tesla-related skills sets was Volvo USA. 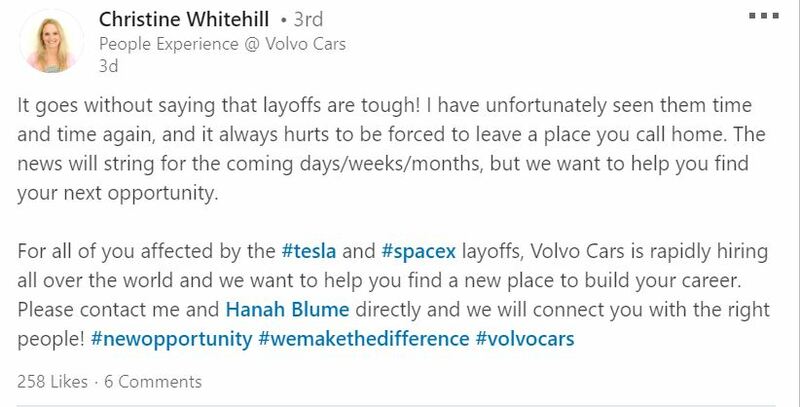 In a LinkedIn status post similar to the ones posted by those at Nikola, Christine Whitehill from the People Experience department at Volvo sympathized with impacted Tesla workers and indicated her company’s interest in becoming their “next opportunity.” Volvo’s pivot towards electric vehicles of its own (and possible embrace of a Tesla-style direct-sales model) indicates the Swedish automaker may have positions impacted workers would find appealing and applicable to their skills. Volvo is looking for Tesla talent impacted by the layoffs. Nikola Motors is looking for Tesla talent impacted by the layoffs. Nikola Motors is looking to hire Tesla workers impacted by the layoffs. Company representatives from Sonoco, EaglePicher Technologies, LLC (battery systems), Kodiak Robotics, VEO Robotics, Velociti (technology project management company), as well as beer maker Sierra Nevada are among others vying for attention from Silicon Valley’s newest free agents. While a few former Tesla employees have taken to social media to express their interest in new positions due to the circumstances, it seems that legal concerns have kept any related commentary to a bare minimum. 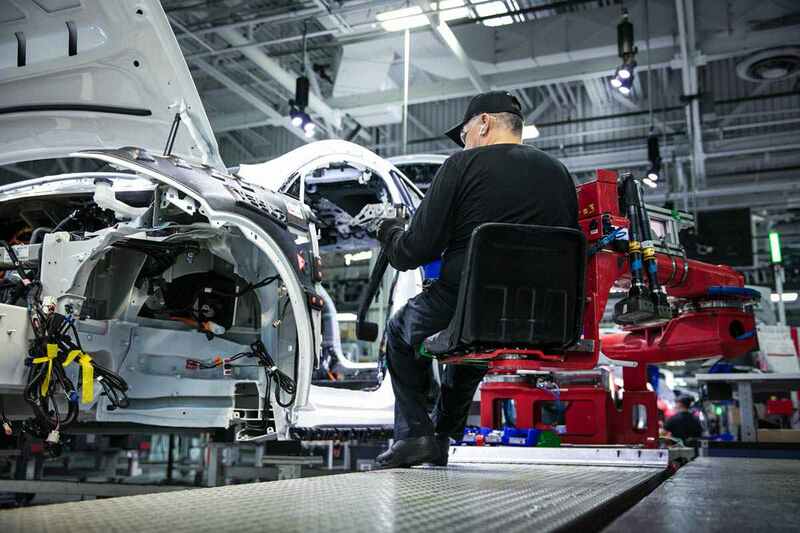 California’s WARN Act requiring a 60-day layoff notice, among other conditions, may have inspired some creative maneuvering on Tesla’s behalf to avoid any disgruntled fallout, something not uncommon in mass layoff situations. 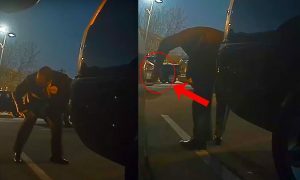 Still, a few individuals related to those impacted by the layoffs (friends or family) publicly offered a few details on the circumstances: Possible offers made to transfer to other Tesla locations for fewer hours and/or pay, some departments eliminated entirely, and others were given two-month severance pay. Further details made available in a separation agreement obtained by CNBC revealed a few more specifics surrounding the Tesla layoffs. In the agreement, employees were asked not to “disparage Tesla”, to refrain from sharing details surrounding their separation, and to cooperate with the manufacturer in any future legal events such as a class action lawsuit. 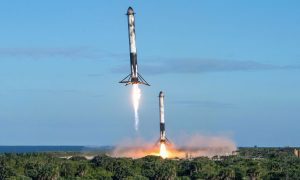 Also, salaried employees received a minimum of 60 days of bay and benefits, and if they agreed to sign the separation agreement, Tesla would pay for their COBRA healthcare and provide additional severance pay based on the employee’s time at the company. 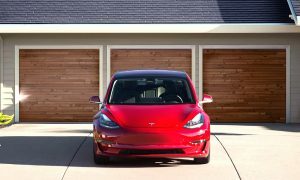 The major cuts appear to have primarily been made in the sales and delivery teams for Models S and X, according to the sources cited by CNBC, although employees were cut back across all areas of the company. Nighttime production for those same vehicles at the company’s Fremont, California plant have also reportedly been suspended. The backgrounds of those who announced their being impacted by the layoffs included recruiting, robotics/controls/equipment automation, inside delivery advising, process engineering, production planning, and industrial/material flow. In Tesla CEO Elon Musk’s letter to employees addressing the layoffs, he explained the move as related to the ramp up of Model 3 production and lowering its cost to meet affordability goals. 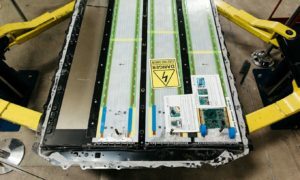 “Tesla will need to make these cuts while increasing the Model 3 production rate…Higher volume and manufacturing design improvements are crucial for Tesla to achieve the economies of scale required to manufacture the standard range (220 mile), standard interior Model 3 at $35k and still be a viable company. There isn’t any other way,” he stated. 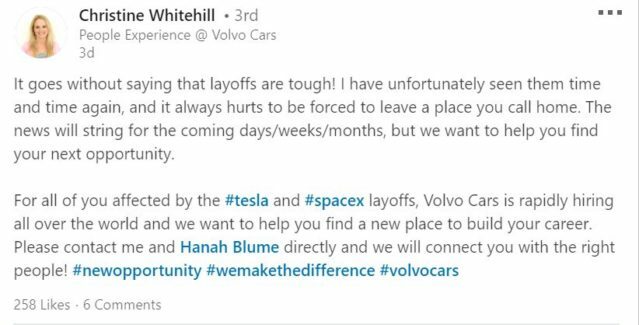 All considered, the staffing layoff observations seem to correlate with Musk’s expressed reasoning and plan.